So the other day Julia Galef and I had the pleasure of interviewing mathematical cosmologist Max Tegmark for the Rationally Speaking podcast. The episode will come out in late January, close to the release of Max’s book, presenting his Mathematical Universe Hypothesis (MUH). We had a lively and interesting conversation, but in the end, I’m not convinced (and I doubt Julia was either). The basic idea is that the ultimate structure of reality is, well, a mathematical one. 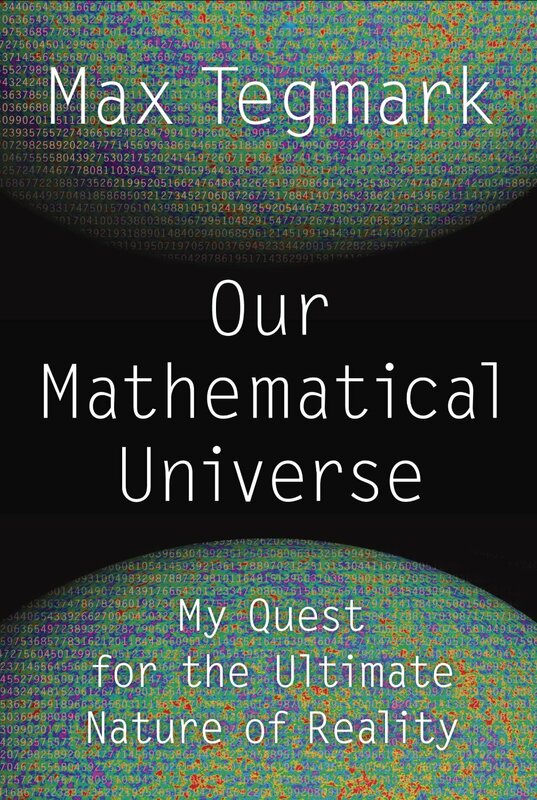 Please understand this well, because it is the crux of the discussion: Tegmark isn’t saying anything as mundane as that the world is best described by mathematics; he is saying that the ultimate nature of reality is mathematics. This is actually not at all a new thesis, though Max is advancing it in new form and based on different reasoning then before. Indeed, the idea has a long philosophical history, and can fruitfully be thought of as based on two distinct philosophical positions: Pythagoreanism, or mathematical Platonism; and Mathematical monism. Mathematical monism is the stronger doctrine that not only are mathematical structures real, but they are the only real thing out there (or, more precisely, everywhere). The combination of Platonism and monism yields a class of theories about the ultimate nature of reality, of which Tegmark’s MUH is one example. We have seen another one several times in the past, in the form of Ladyman and Ross’ ontic structural realism, the notion that there are no “objects” or “things” at the bottom, just (mathematical) relations. While I have commented positively on ontic structural realism (again, without necessarily buying into it), and more generally on the idea of a “naturalistic” metaphysics (i.e., a metaphysics that takes seriously the best known physics), my conversation with Max Tegmark actually generated more doubts than illumination. One obvious problem is posed by what it would mean for the world to be “made of” mathematical structures. The notion of mathematical structure is well developed, so that’s not the issue. A structure, strictly speaking, is a property or a group of mathematical objects that attach themselves to a given set. For instance, the set of real numbers has a number of structures, including an order (with any given number being either less or more than another number), a metric (measuring the distance between points in the set), an algebraic structure (the operations of addition and multiplication), and so on. The problem is in what sense, if any, can a mathematical structure, so defined, actually be the fundamental constituent of the physical world, i.e. being the substance of which chairs, electrons, and so on, are made. Of course, both Julia and I asked Max that very question, and we were both very unconvinced by his answer. When Tegmark said that fundamental particles, like electrons, are, ultimately mathematical in nature, Julia suggested that perhaps what he meant was that their properties are described by mathematical quantities. But Max was adamant, mentioning, for instance, the spin (which in the case of the electron has magnitude 1/2). Now, the spin of a particle, although normally described as its angular momentum, is an exquisitely quantum mechanical property (i.e., with no counterpart in classical mechanics), and it is highly misleading to think of it as anything like the angular momentum of a macroscopic object. Nevertheless, Julia and I insisted, it is a physical property described by a mathematical quantity, the latter is not the same as the former. Could it be that theories like MUH are actually based on a category mistake? Obviously, I’m not suggesting that people like Tegmark make the elementary mistake of confusing the normal meaning of words like “objects” and “properties,” or of “physical” and “mathematical.” But perhaps they are making precisely that mistake in a metaphysical sense? There are other problems with MUH. For one, several critics of Tegmark’s ideas have pointed out that they run afoul of the seemingly omnipresent (and much misunderstood) Gödel’s incompleteness theorems. Mark Alford, specifically, during a debate with Tegmark and Piet Hut has suggested that the idea that mathematics is “out there” is incompatible with the idea that it consists of formal systems. To which Tegmark replied that perhaps only Gödel-complete mathematical structures have physical existence (something referred to as the Computable Universe Hypothesis, CUH). This, apparently, results in serious problems for Max’s theory, since it excludes much of the landscape of mathematical structures, not to mention that pretty much every successful physical theory so far would violate CUH. Oops. Prompted by the above, I also asked Max about Gödel, and his response was that Gödel-related problems appear only in the case of infinite quantities, and he professed himself to be an infinity-skeptic. That took me by surprise, what do you mean you don’t believe in infinity? I thought this was a pretty darn well established concept in mathematics, at least since the work of Georg Cantor in the 19th century! But of course Tegmark was referring to the existence of physical, not mathematical, infinities. As is well known, there are certain calculations in physics that do generate infinities, for instance the singularity that shows up in the description of black holes, or the infinite quantities that are postulated in standard descriptions of phase transitions. The question of whether there really are infinities in physical systems is open, so surely Max is entitled to his skepticism. But it did seem a bit too convenient a position, in light of the above mentioned Gödel-related problems. Another issue that didn’t convince either Julia or me during our conversation with Max is a crucial one: testability. I’m okay with philosophical speculations (and I use the term in a positive fashion!) about modal realism or the principle of plenitude, but if we are claiming to be doing science (as Tegmark surely is), then our speculations better make contact with empirical reality. Jim Baggott, in his Farewell to Reality: How Modern Physics Has Betrayed the Search for Scientific Truth, is already accusing physicists of losing touch with what it means to do science. Is Tegmark the latest example of the trend? When we asked, he claimed that the MUH does make empirical predictions, but when pressed on the details the answer becomes far less satisfying than one would hope. For instance, Max said that one prediction is that physics will continue to uncover mathematical regularities in nature. Well, probably, but one surely doesn’t need to postulate MUH to account for that. He also has stated in the past that — assuming we live in an average universe (within the multiverse of mathematical structures) — then we “start testing multiverse predictions by assessing how typical our universe is.” But how would we carry out such tests, if we have no access to the other parts of the multiverse? Max went on to say that his hypothesis has “zero free parameters” and is therefore favored by Occam’s razor. But if you check his paper at arxiv.org he says: “If this theory is correct, then since it has no free parameters, all properties of all parallel universes … could in principle be derived by an infinitely intelligent mathematician. … Finally, the ultimate ensemble of the Level IV multiverse would require 0 bits to specify, since it has no free parameters.” There are a couple of obvious problems here. One is the dearth of infinitely intelligent mathematicians, the second the fact that the above mentioned Level IV multiverse is precisely what gets dramatically (and unrealistically) shrunk as a result of Gödel-imposed limitations. And let’s not forget that Occam’s razor is just a useful heuristic, it should never be used as the final arbiter to decide which theory is to be favored, especially when we are talking about such highly speculative and empirically next to impossible (or even downright impossible) ideas to test. In Many Worlds in One: The Search for Other Universes, critic Alex Vilenkin says that “the number of mathematical structures [in the multiverse] increases with increasing complexity, suggesting that ‘typical’ structures should be horrendously large and cumbersome. This seems to be in conflict with the beauty and simplicity of the theories describing our world.” In order to get around that problem, Tegmark assigns lower weights to more complex structures, but since this is done without a priori justification, it is an ad hoc move, which of course violates Occam’s razor. So, as much as I enjoyed our conversation with Max, for the time being I remain skeptical of the MUH and related hypotheses. Maybe we just need to wait for the appearance of an infinitely intelligent mathematician. Thanks Massimo for the fun conversation during the interview and for raising these important questions! They are excellent ones, and a key reason why I spent three years writing this book is because I wanted to make sure to finally answer them all properly. Needless to say, I couldn't do justice to them in our short interview, so I'm very much look forward to hear what you think about my detailed answers in chapters 6, 10, 11 and 12. I think you'll find that our viewpoints are closer than your post suggest - for example, your statement "Tegmark assigns lower weights to more complex structures" is not something you'll find in the book. Rather, I describe how the measure problem is a terrible embarrassment for modern cosmology (regardless of whether the MUH is true or not) that we need to solve, and that our untested assumption that truly infinite things exist in nature are my prime suspect: we've never measured anything to better than 17 decimal places, have only 10^89 particles in our universe, and manage to do all our publishable physics simulations with computers that have finite resources, so even though my physics courses at MIT use infinity as a convenient tool, I respectfully object to your "OPS" argument that we somehow have experimental evidence for infinity in physics. Without infinity, there are, as you say, no Gödel issues in our physics.